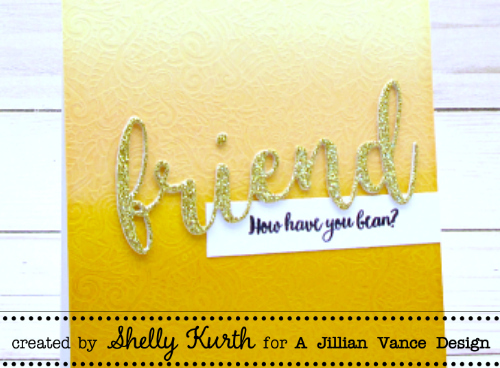 A Jillian Vance Design: Friend...How have you bean? Today, I'm swinging in sharing a fun friendship card with you. I started with my background, which I simply did some ink blending with and in this case, I thought I'd choose some 'summery/golden' colors to use. 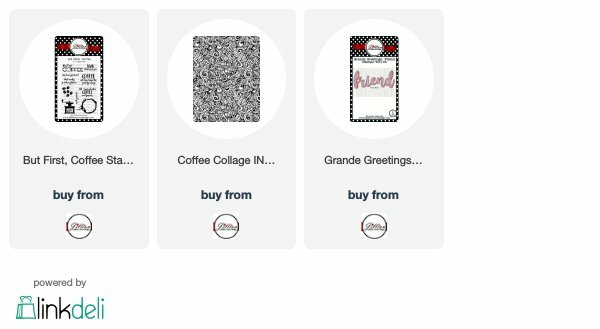 After, I used the Coffee Collage plate with my inked background and then adhered it to my card. This is fabulous Shelly! So bright and happy!